It all began with 16 teams back in early April, and at last, we’re finally down to two. As always, these Stanley Cup Playoffs have been thrilling and exciting, unpredictable at times, and most importantly, wildly entertaining. 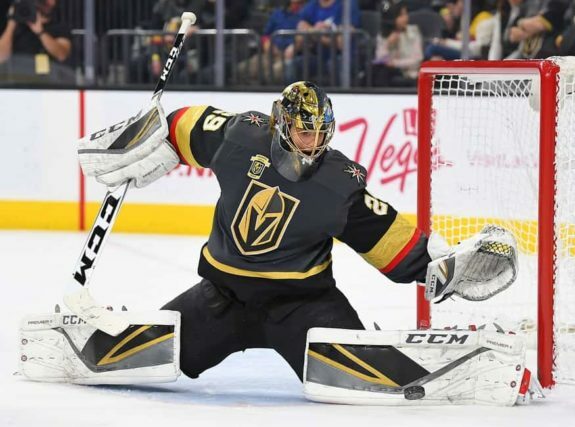 We’ve been treated to some wonderful storylines, like the out-of-nowhere Vegas Golden Knights, who have emerged from the realms of Expansion Land to roll all the way to the Final. The Winnipeg Jets made an impressive run as well, giving the hockey diehards north of the border the hope that maybe a Canadian team might finally bring home a championship, before falling three wins short of the Final. On the other side, the Washington Capitals are awfully close to breaking the curse that has overrun their city. D.C. sports fans have suffered nothing but endless disappointment, many times in the playoffs, for nearly 30 years. The Redskins, Nationals, and Wizards have all ripped their fans’ hearts out at least once over the years. But now, the Capitals have a chance to put all of that to rest. They just have to win four games over the Golden Knights. But the Knights on the other hand … well. they have a lot on the line as well, and that includes the most historic inaugural season in the history of sports. There’s plenty to root for on both sides. As long as you aren’t a fan of either the Caps or the Knights, you really can’t go wrong with the 2018 Stanley Cup Final, regardless of who wins. What’s to Like About the Golden Knights? I already covered why the Vegas Golden Knights are an easy bandwagon to jump on, but now that they are officially in the Stanley Cup Final, it couldn’t be any truer. They have the best logo and the best sweater in the entire league, which are the obvious reasons. There’s also the expansion factor. It’s always easy to root for a brand new franchise, because it’s something new. In sports, we get tired of constantly seeing the same teams be good year after year. America is fed up with the New England Patriots playing in the Super Bowl every year. The Golden State Warriors and Cleveland Cavaliers have met in the NBA Finals in three consecutive years, and could possibly make it four very soon. And even in the NHL, the Pittsburgh Penguins have won the last two Stanley Cups. But this year? There’s a team from Las Vegas playing for a championship. It doesn’t get much different than that. And then when you take into account the horrible shootings that happened in Las Vegas last October, could anybody really be upset about the Golden Knights winning it all? What’s to Like About the Capitals? I could totally understand not wanting to support the Capitals if you’re a fan of teams like the Flyers or the Penguins. You have to remain loyal to your team, and there are very rare instances in which you’re allowed to root for your team’s rivals. But for other fans, who doesn’t like the idea of a team overcoming its city’s sports burdens of the past? Two years ago, most of America jumped on the Chicago Cubs bandwagon when they ended their championship drought that had lasted for 108 years. Washington, D.C. hasn’t been quite that tortured, but at the same time, the city hasn’t won a championship in the four major sports since the Redskins won the Super Bowl back 1991. And there have been some excruciating defeats, such as the Wizards losing to the Celtics in seven games last year, and the Nationals providing one of the all-time greatest chokes in the 2012 NLDS, just to name a few. But the Capitals have a chance to make up for it. 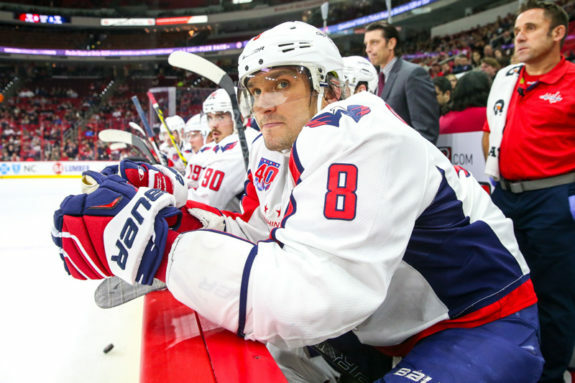 Not to mention, there is Alexander Ovechkin, one of the greats in NHL history, who is just now sniffing the Stanley Cup Final for the first time in his career. It would be great to see him finally get to hold that Cup. Just like the Golden Knights, seeing the Capitals win it all should be enjoyable for just about anybody. Let the games begin.